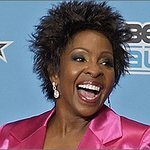 Nordoff Robbins has announced another winner at the O2 Silver Clef Awards – the legendary Gladys Knight. Along with the nine other winners, she will collect her award at the O2 Silver Clef Lunch on Friday 3 July at the Grosvenor House Hotel, Park Lane. Gladys Knight and The Pips recorded some of the most memorable songs of the 1960s, 1970s and 1980s including “Every Beat of My Heart,” “Letter Full of Tears,” “I Heard it Through the Grapevine”, “If I Were Your Woman”, “Best Thing to Ever Happen to Me” and the #1 smash “Midnight Train to Georgia”. Knight has collaborated with Stevie Wonder, Elton John, Dionne Warwick and many more. In all, Knight has recorded more than 38 albums over the years. Recognising her incredible talent, Gladys Knight has been awarded the Raymond Weil International Award at the 2015 O2 Silver Clef Awards. Nine other winners at the O2 Silver Clef Awards 2015 have already been announced. They are Duran Duran, who will win the Spotify Lifetime Achievement Award, Kasabian, Royal Albert Hall Best Group, James Bay, Jack Daniel’s Best Newcomer, Jake Bugg, AEG Live Best Male, Rita Ora, Vevo Best Female, Mark Ronson, American Express Innovation Award, Primal Scream, Investec Icon Award, Iron Maiden, O2 Silver Clef Award and Il Divo who will be awarded the PPL Classical Award.